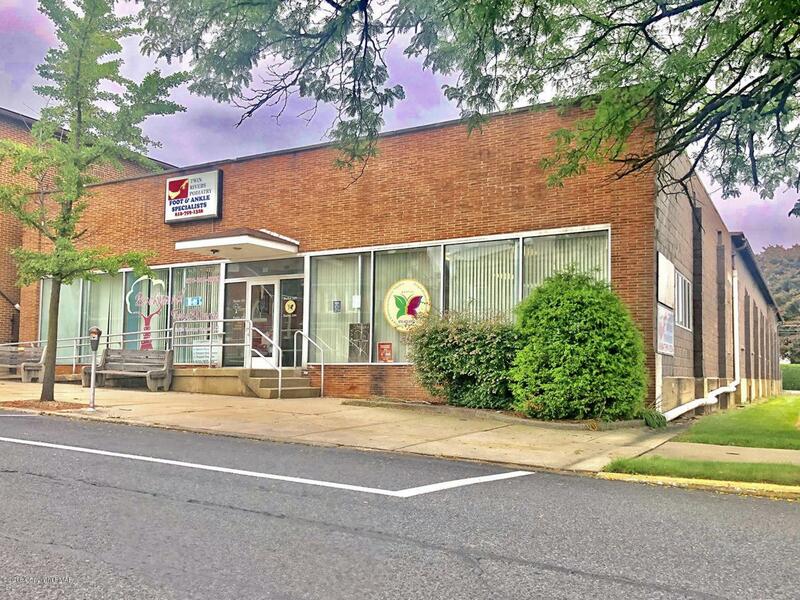 Office/warehouse space for lease in Nazareth. The 11,140 square foot building offers 3,000 square feet of office and 1,700 square feet of storage/warehouse that can also be converted into additional office. Space can be subdivided with size options starting at 800 square feet. Lease terms dependent upon space size and landlord will build to suit tenant's needs. Current office layout consists of waiting room, two reception areas, 15 individual offices and two kitchenettes and is offered at $10 per square foot. Warehouse with 7-foot drive-in door is offered at $2,000 per month Gross. Limited parking on-site but on-street parking is available. Property is serviced by central air conditioning and public water and sewer.